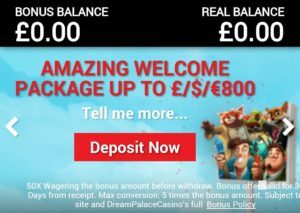 Phone Bill Casino - Dream Palace Casino - Deposit Bonus! Congratulations, you just walked into DreamPalaceCasino! The place where you can receive a Welcome Bonus 100% up to $/£/€100 + 20 Free Spins on Shaman's Dream as a welcome gift! Usable on all games at Dream Palace Casino, Phone Bill Casino. Play on your phone and get your bonus! 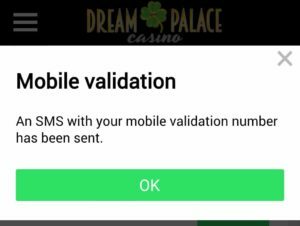 At DreamPalaceCasino, you have the opportunity to deposit using your mobile phone bill. As a reward, you get aWelcome Bonus 100% up to $/£/€100 + 20 Free Spins on Shaman's Dream. 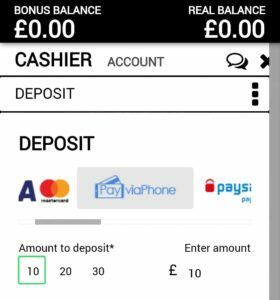 Let’s assume you deposit £10 using your phone bill. Then on your £10 you will get a 100% match up bonus! Phone deposit slots are waiting for you at DreamPalaceCasino! Over 0 unique mobile slots to choose from! Click the “Join Now” button on the top left hand side which will open the registration form. We will send you a confirmation email with your account details. Great in case you forget your username! Click OK to activate your account. 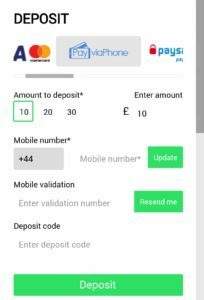 When registering make sure to enter your correct mobile phone number as we will be sending you a confirmation message with a code you will need later! BOOM! 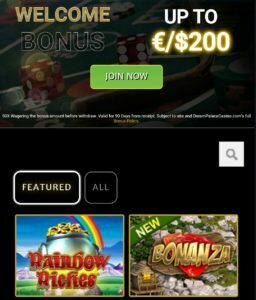 You have just added £10 to your account using your phone bill and we have also added a Welcome Bonus 100% up to $/£/€100 + 20 Free Spins on Shaman's Dream as well! You now have £20 to Play With! Go pick your favourite game and start playing. Best of LUCK!